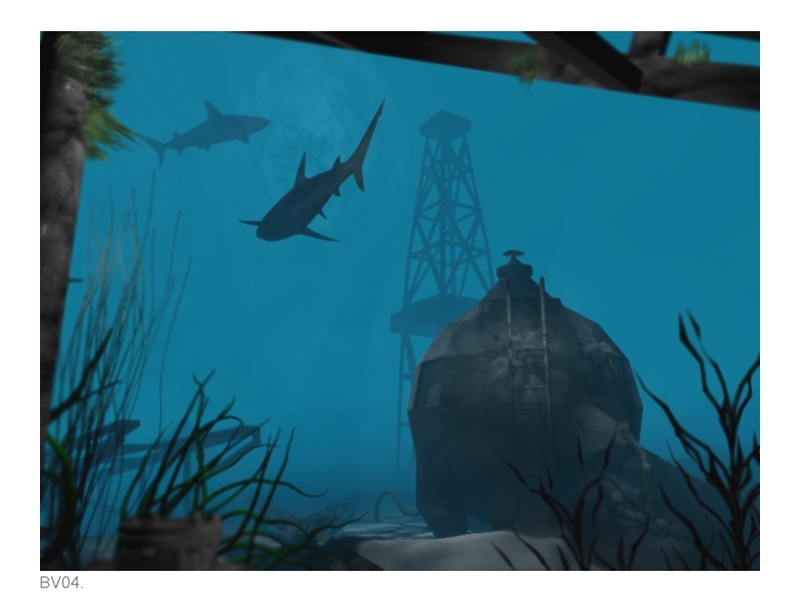 Description: This is my first major underwater scene. The base was made in wings, plants+shark via net, mats mine. Lighting+blur in post from Adobe elements. I love it, its like.. so kool! Reminds me a little of Riven or something. Very awesome though. the blur works a treat a real sense of depth there - really getting that underwater feeling - find myself holding by breath when I look at the picture. Nice. Its all smoke an mirrors! Nice underwater scene and good depth of field.